1306-Act, a law concerning Dominican divorce that establishes a special legal procedure for citizens around the world, has been confirmed by U.S. Supreme Court and validated by the U.S. department of state, and allows citizens from Canada, England, France, Australia etc . Manage a divorce based on mutual consent in The Dominican divorce courts. The same procedure is a relatively cheap alternative. 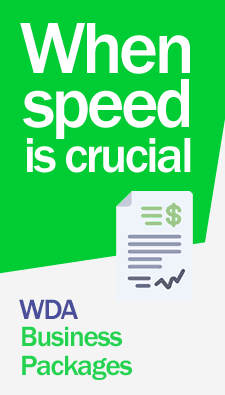 Our firm WDA international law firm handles the entire procedure for a single flat fee of US$1,550.00 that includes all legal fees and taxes of courts. A divorce is like for many people an opportunity for a necessary change, and a new beginning. Dominican divorce is a legal and quicker alternative that allows a person of any nationality and regardless of where marriage took place, to end a failed marriage and get a divorce decree issued by Dominican divorce courts in less than 15 days. Tommy Mottola Diana Ross, Lisa Marie Presley, Mariah Carey are just some of the celebrities who took the simple decision to manage the end of their marriage 100% legal through a Dominican divorce, as the same is guaranteed to stop a difficult relationship. And the fact is that some jurisdictions in the United States are relatively difficult and the culmination of a marriage can take years, but in the case of a Dominican divorce it is usually completed in less than 15 days after which parties are ready to start again with their lives as single people, or instantly re-marry if they wish. The entire procedure of a Dominican divorce can be summarized as follows: the couple sign the settlement agreement specially drafted by our lawyers for the Dominican divorce process, carefully drafted in accordance with details of the agreement of the parties while complying with local laws of the jurisdiction of the couple. This agreement will be signed and notarized and returned to us, together with an original of marriage certificate, original copies of passports and records of the children if they had any; after these documents are filed in Dominican divorce court, the date is fixed for the Dominican divorce hearing; at least for this one party should appear in court in Dominican Republic FOR A SHORT INTERVIEW OF LESS THAN 20 MINUTES WITH THE JUDGE that will rule on the divorce procedure and that’s it. Most of our clients return back home the same day in the afternoon. Three days later divorce decree is issued by the court and after this has been translated, legalized and validated at the parties country consulate, is sent to client as soon as possible, the entire procedure takes about 15 days to be completely finished. For more information call our toll free line from USA or write an email, we’ll be more than glad to assist you.